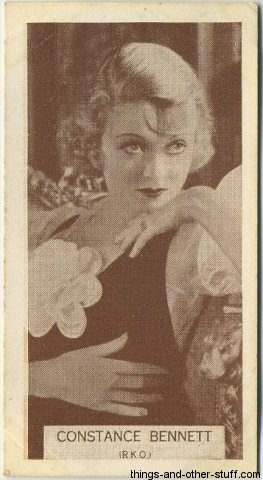 The Gallery on this page pictures cards from the smaller sized issue of the same set of 100 cards. 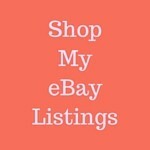 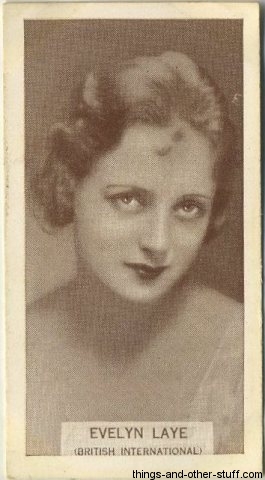 The cards pictured below measure approximately 1-7/16" X 2-5/8". 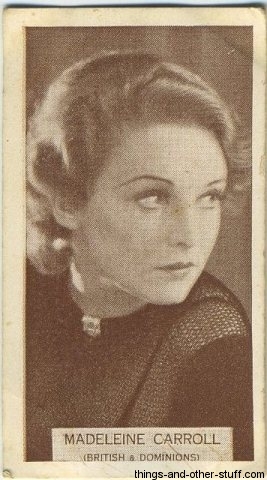 Cards from the larger, medium-sized, set measure 2-1/16" x 2-5/8"". 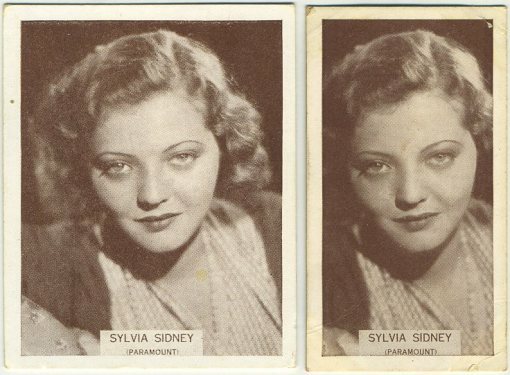 Side by side, Sylvia Sidney pictured from both the medium and small sets of 1934 Wills Famous Film Stars. 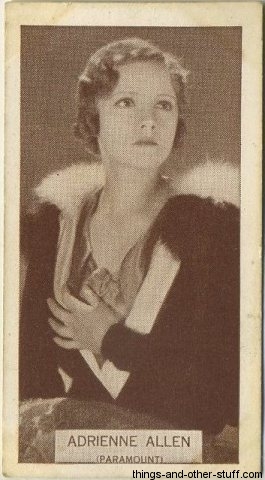 The smaller card appears darker but that is from toning, a condition issue. 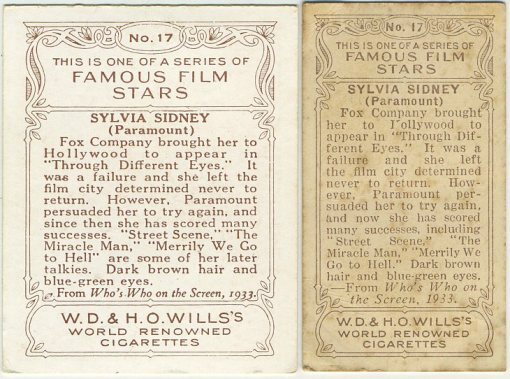 They appeared the same in color when originally issued. 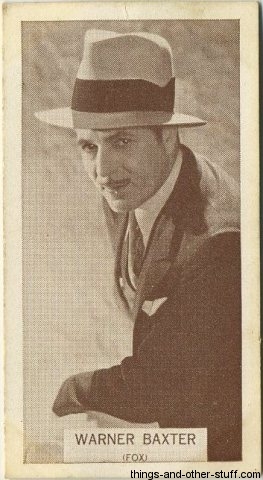 As you can see both cards are absolutely the same except for the size. 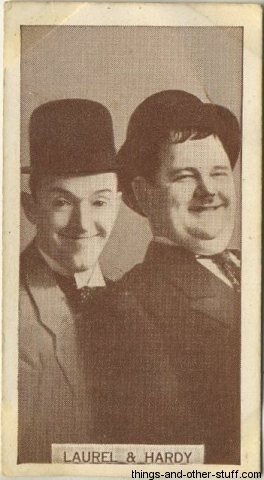 This is simply the difference between the number of cigarettes available in the original packet. 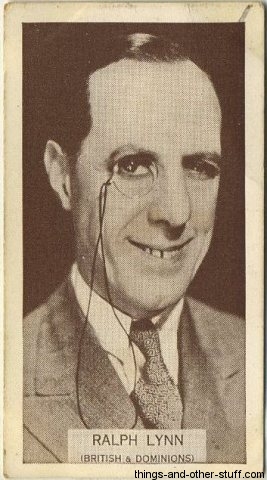 These tobacco cards were issued out of Australia by the tobacco company W.D. 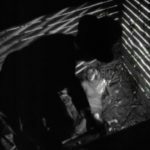 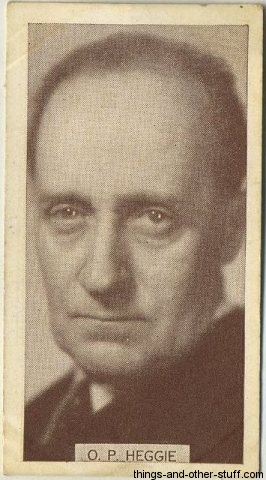 & H.O. 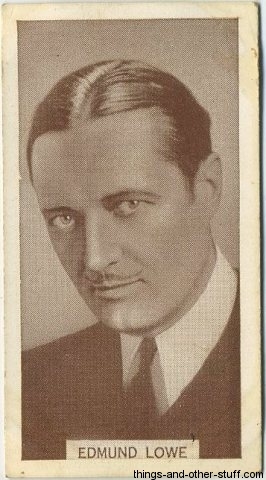 Wills. 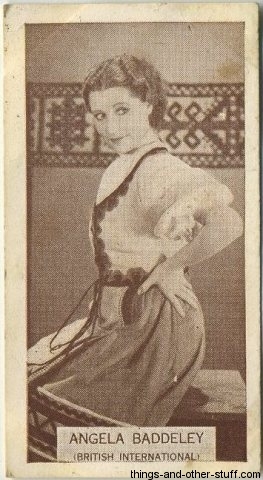 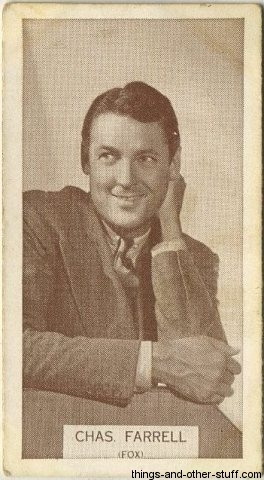 Several of the poses seem to be images also used in the 1934 Ardath British Born Film Stars and 1934 Ardath Famous Film Star sets of tobacco cards. 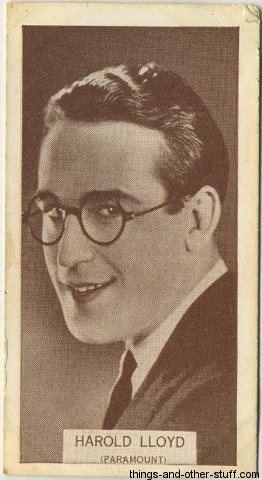 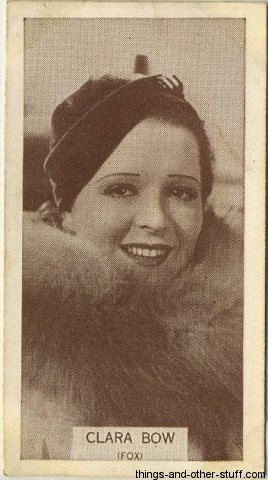 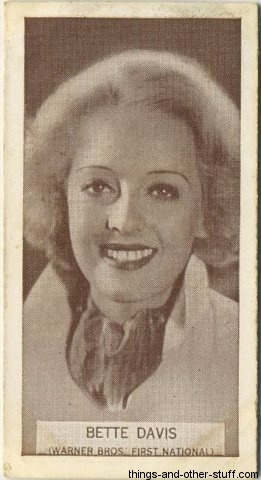 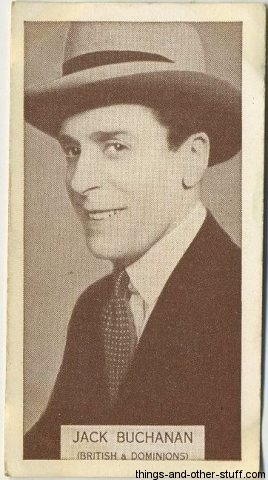 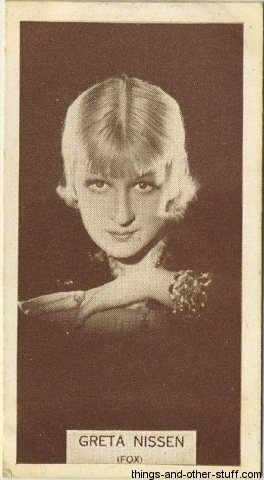 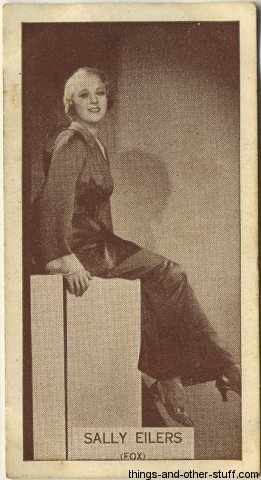 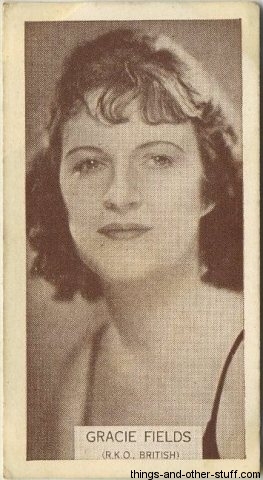 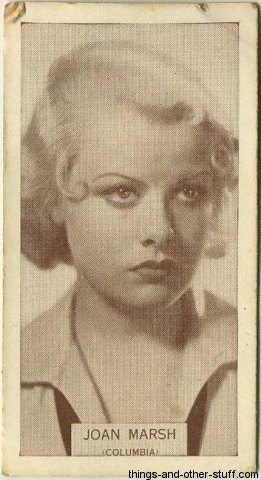 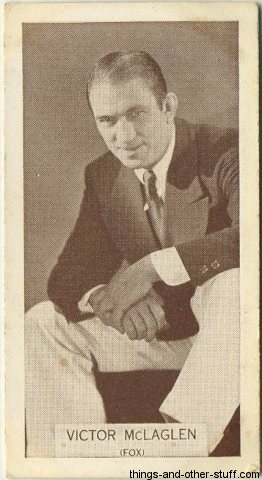 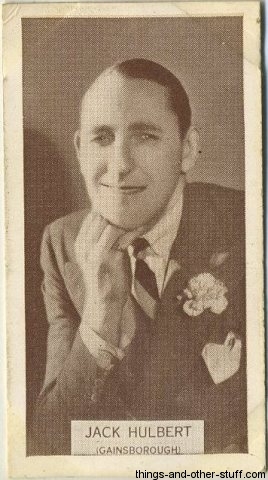 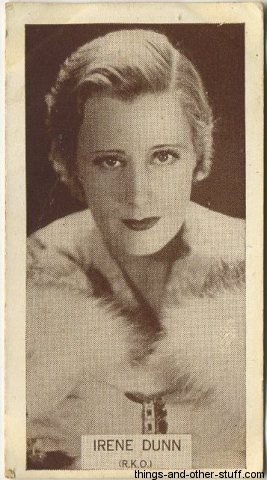 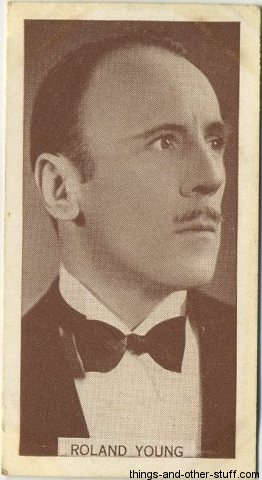 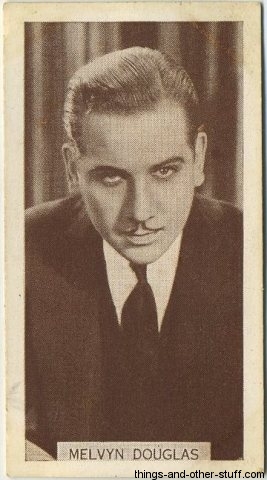 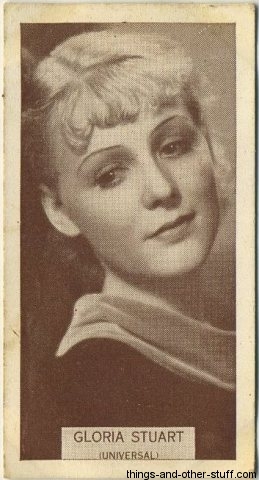 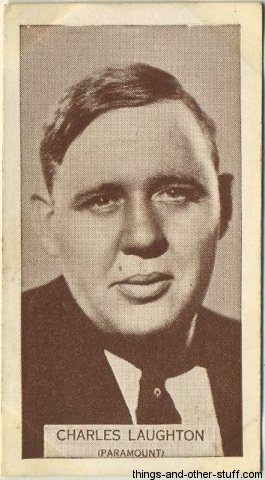 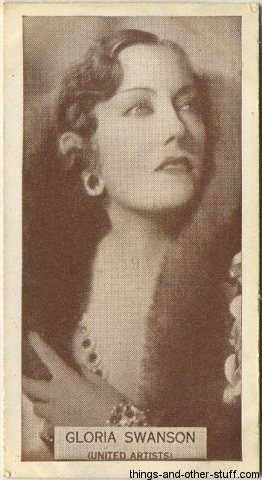 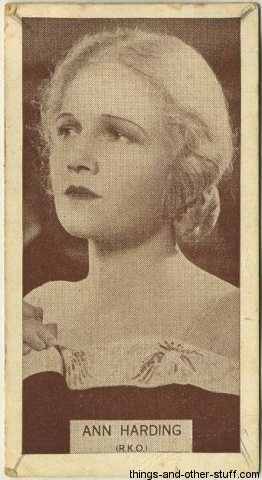 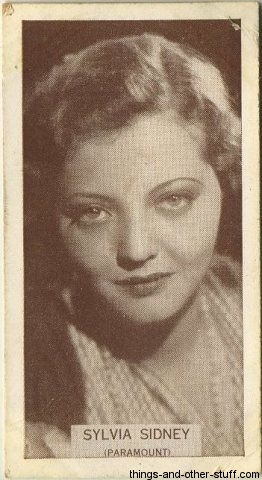 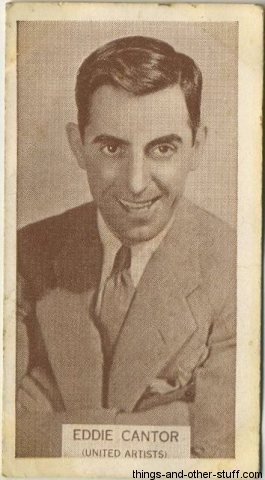 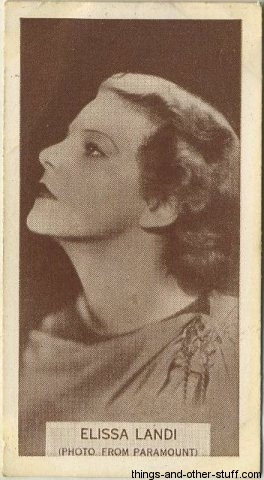 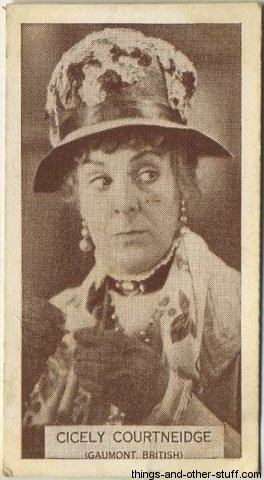 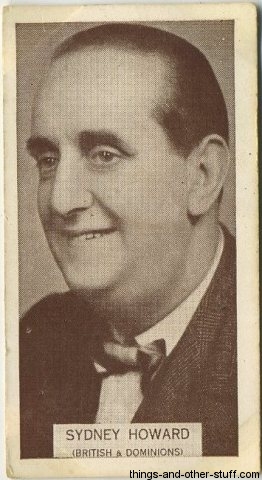 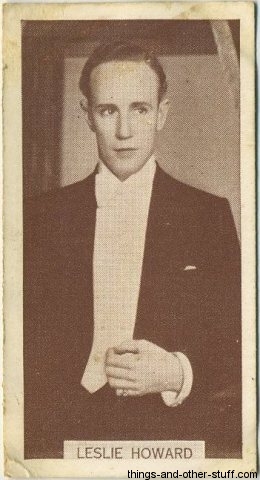 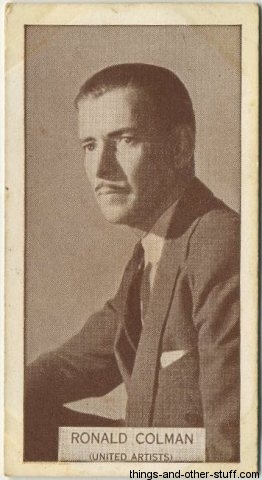 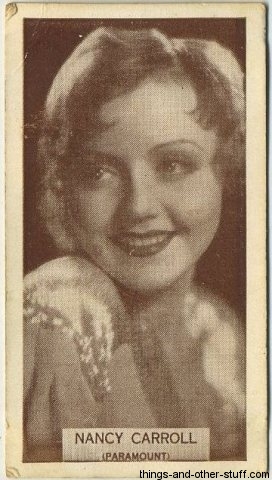 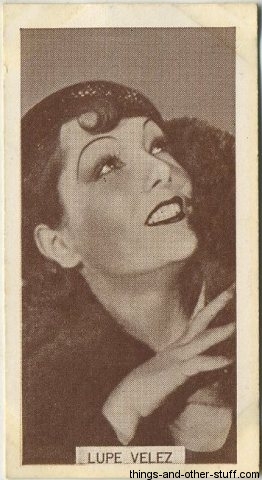 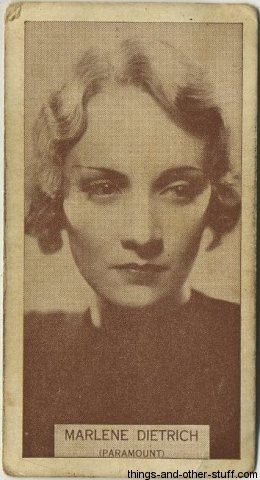 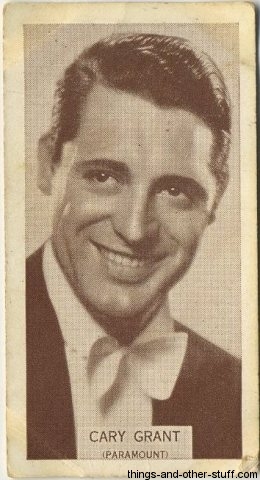 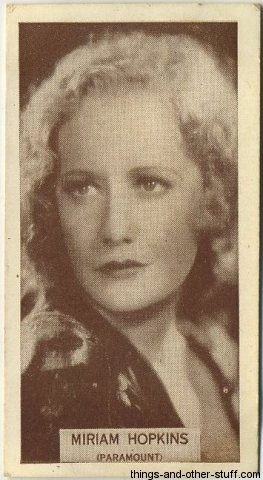 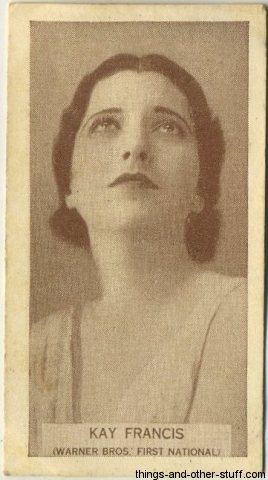 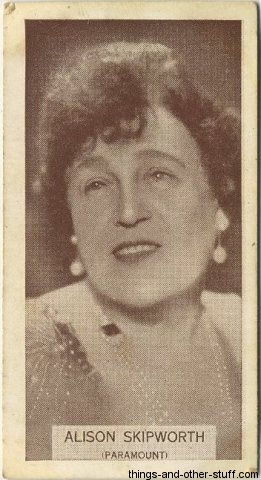 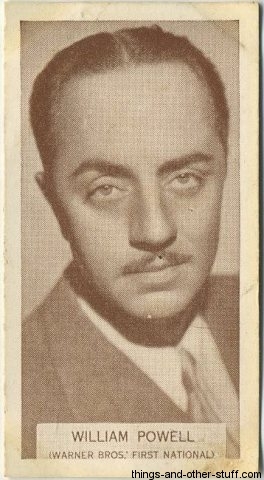 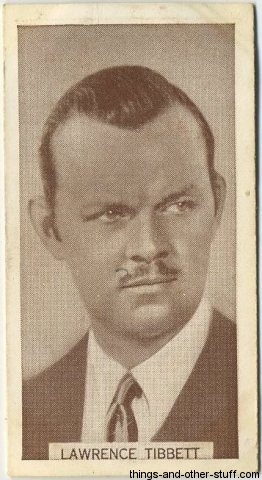 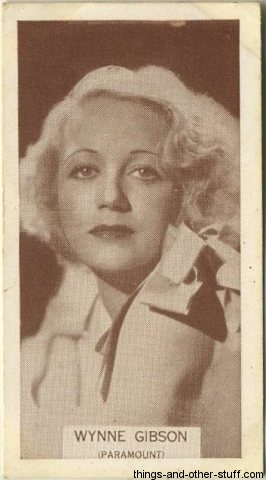 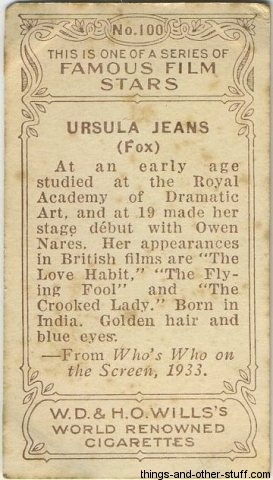 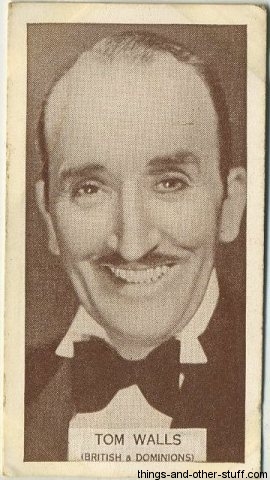 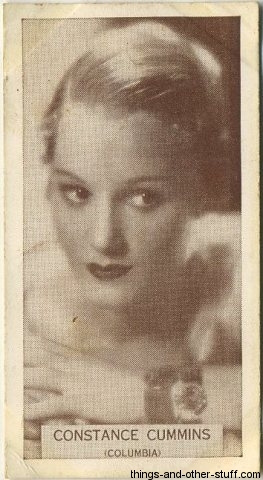 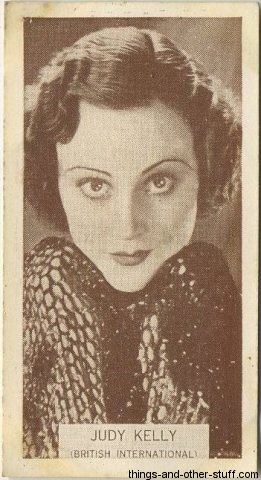 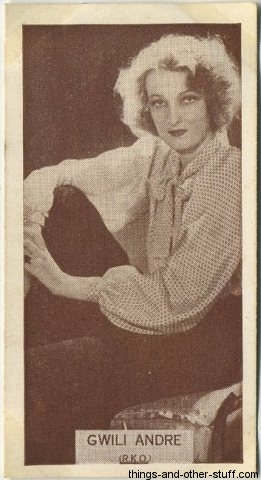 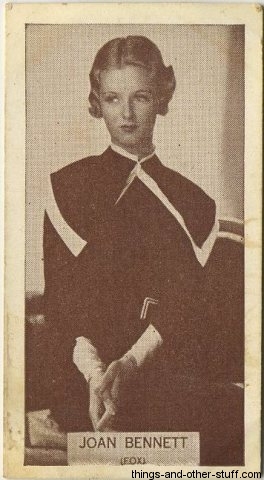 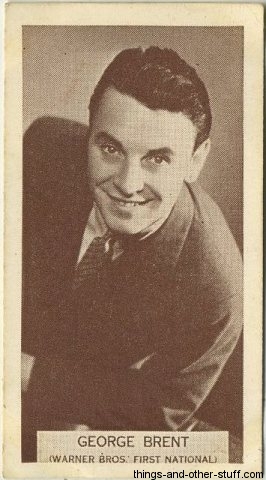 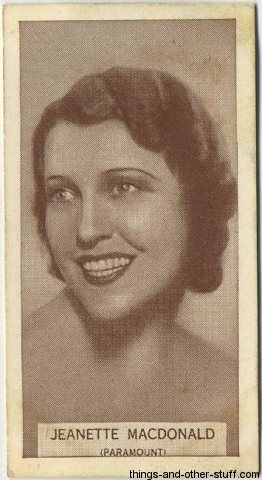 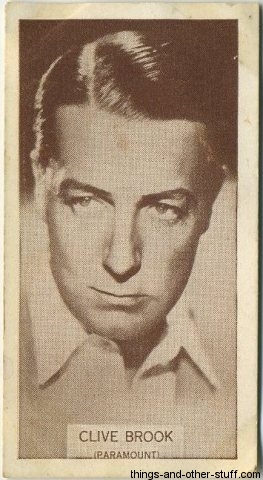 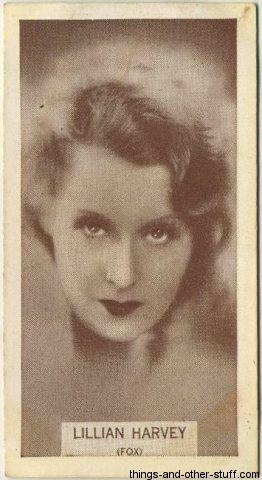 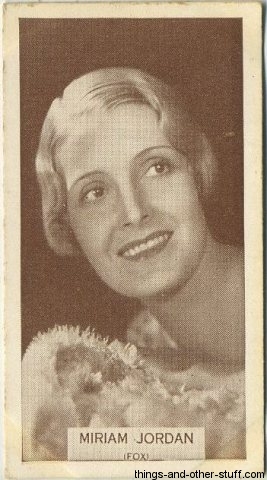 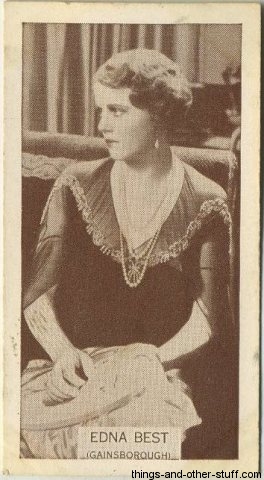 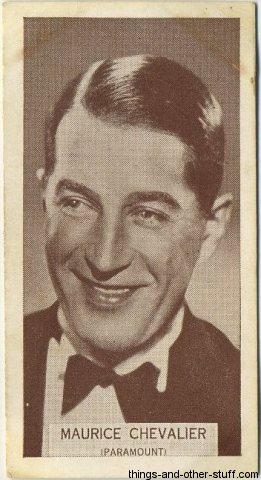 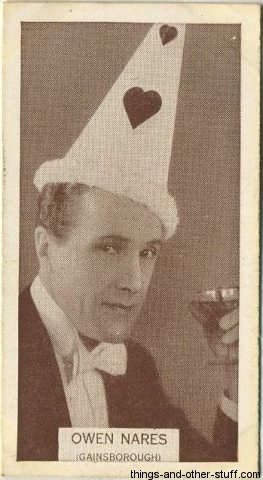 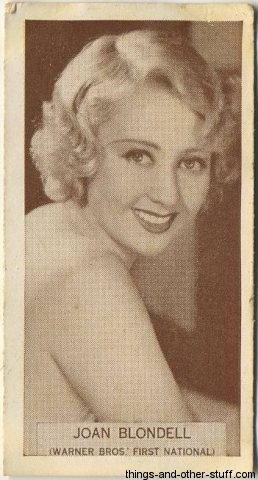 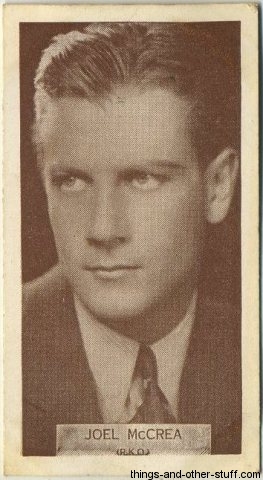 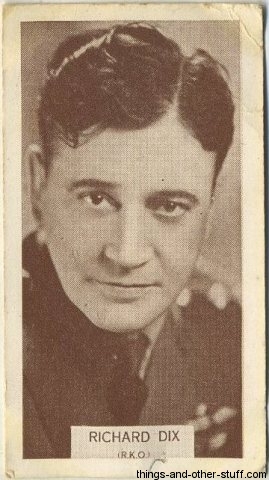 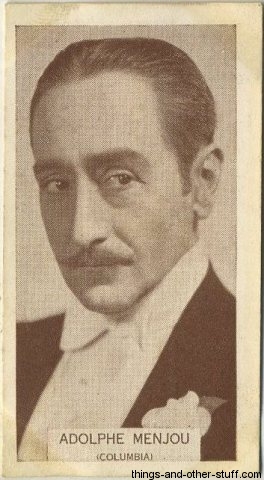 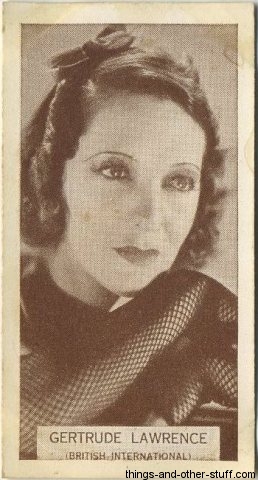 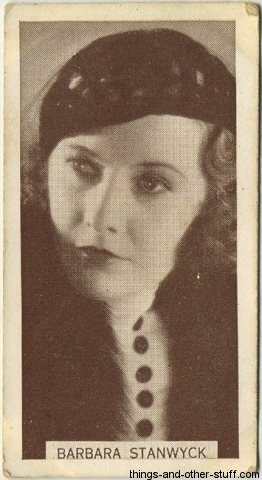 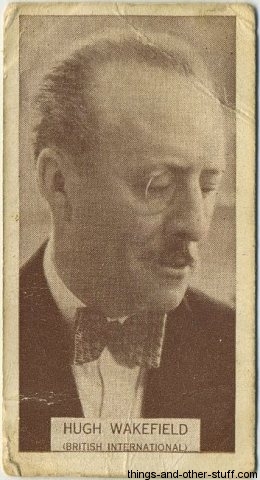 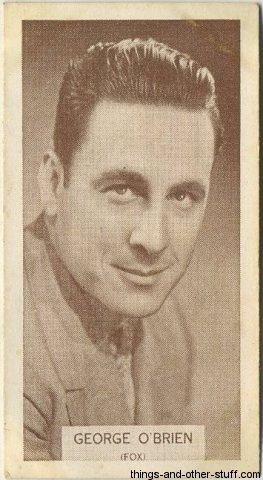 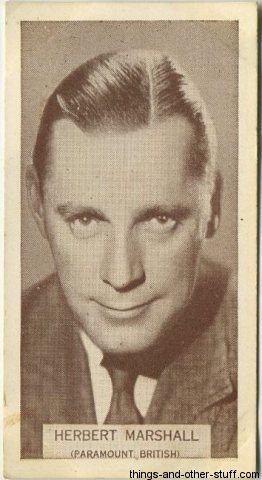 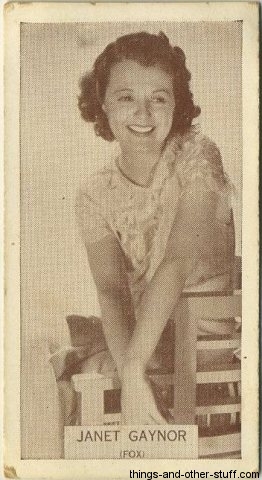 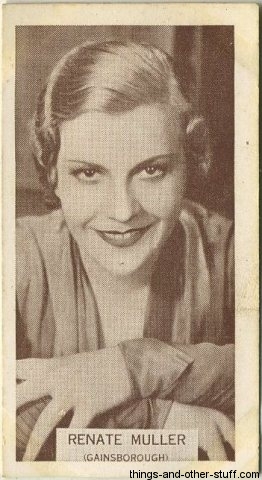 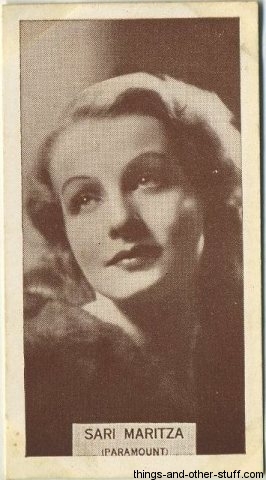 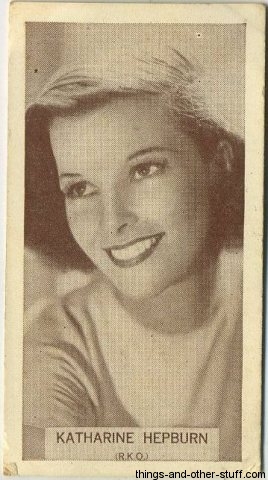 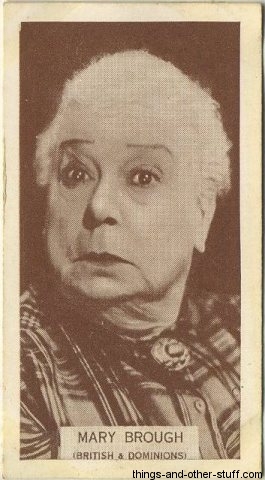 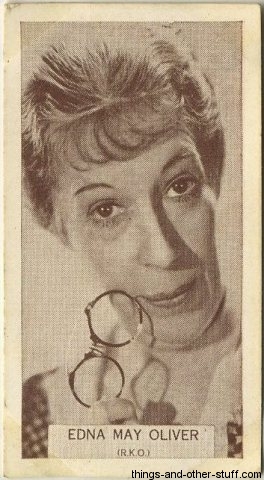 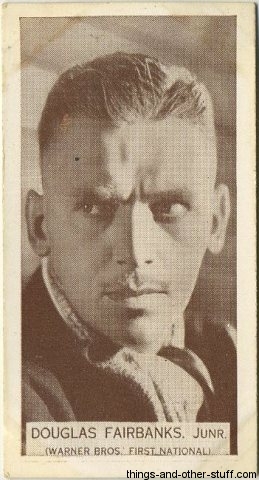 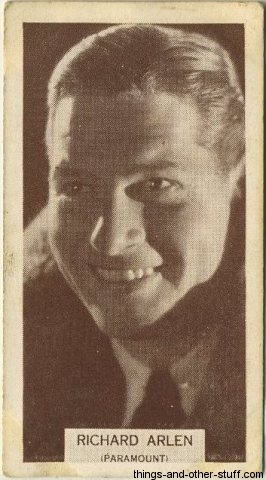 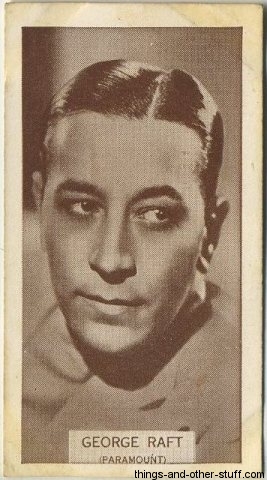 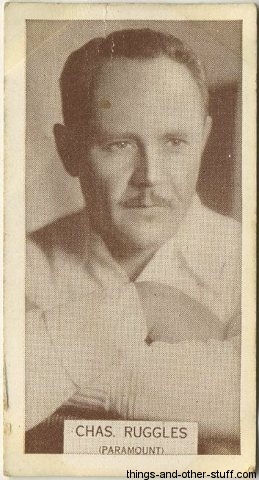 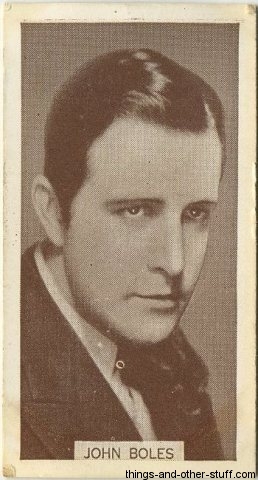 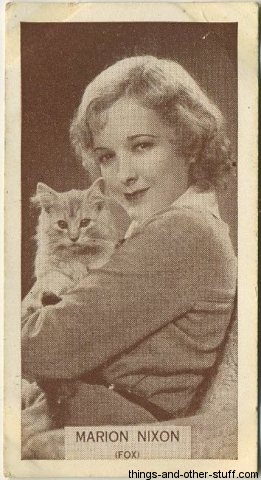 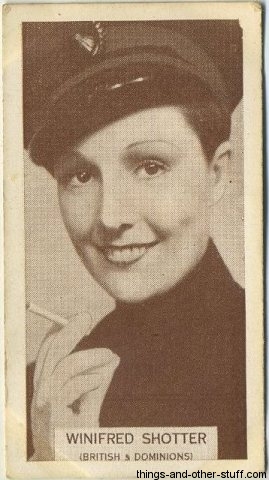 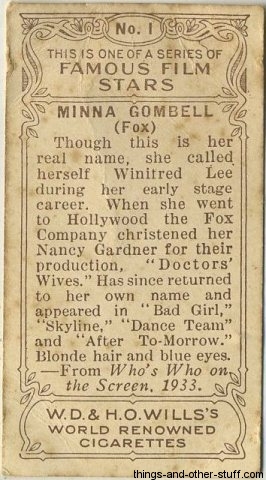 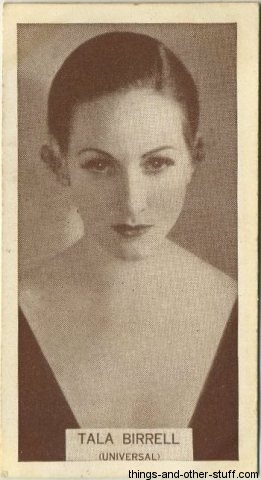 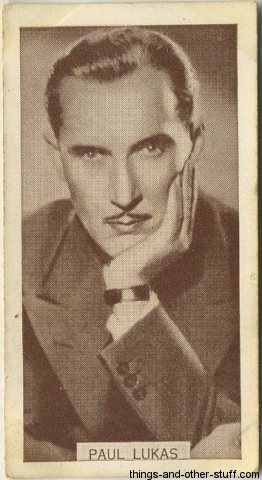 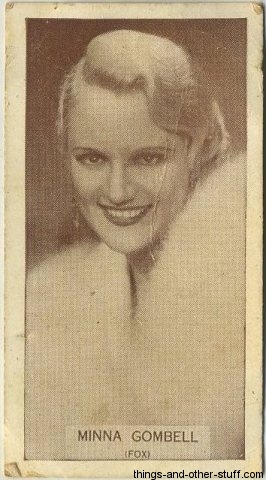 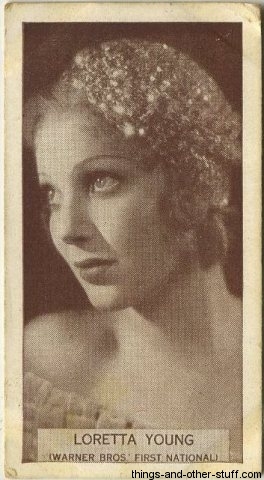 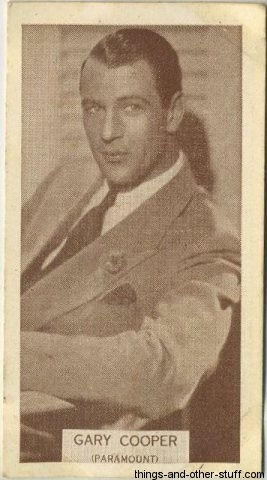 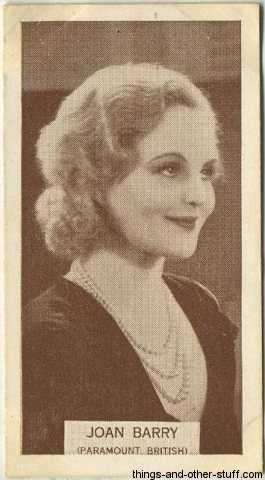 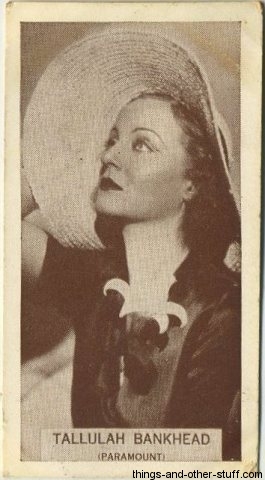 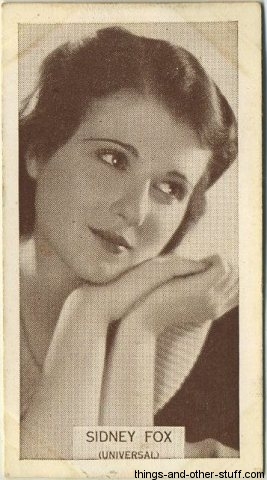 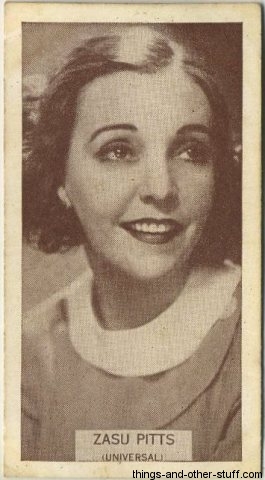 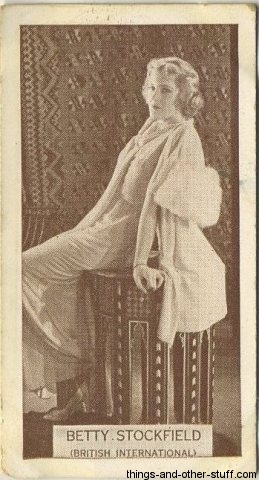 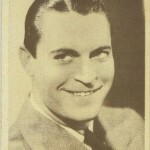 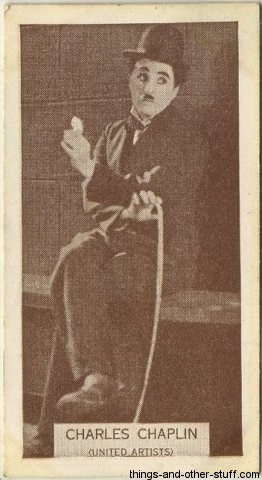 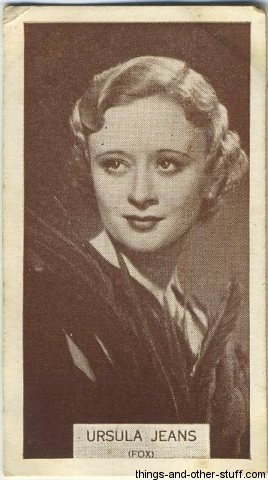 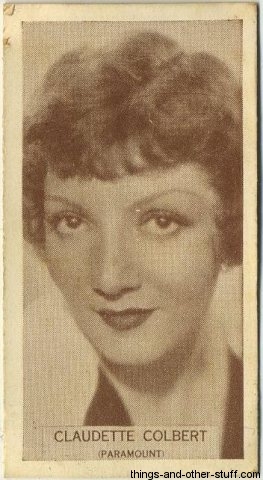 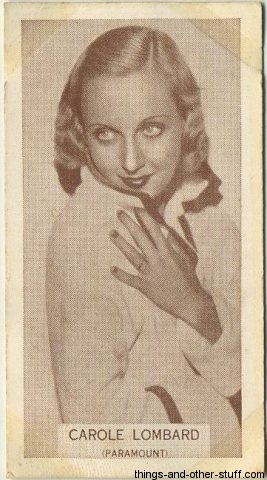 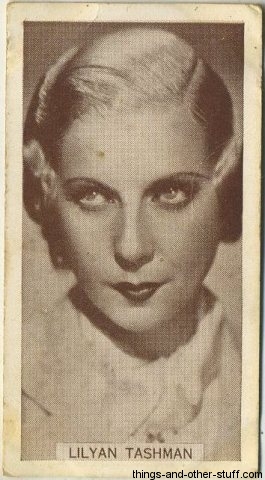 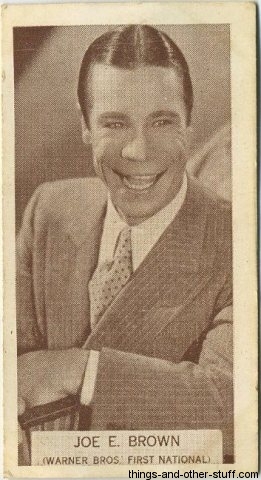 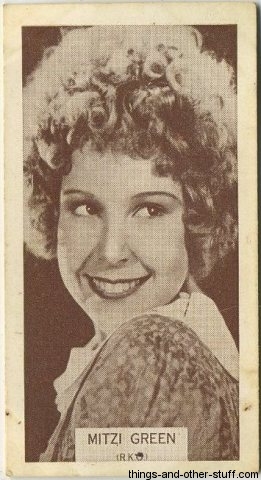 The following gallery includes images of all 100 cards from the 1934 Wills Famous Film Stars set plus examples of the reverse side of the first and last cards in the set. 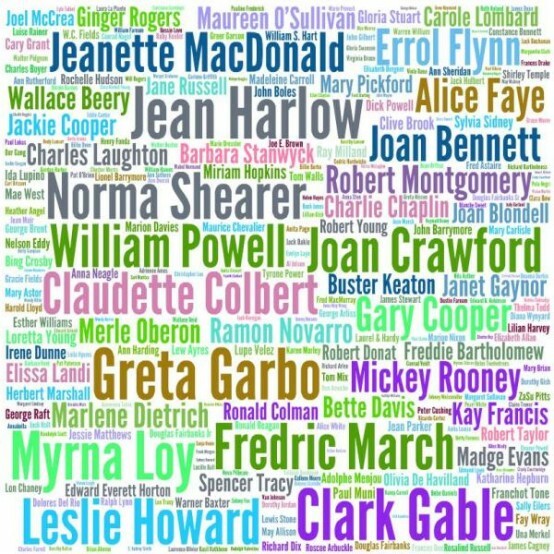 Just click on any image to open to full size and from there you can scroll through them all. 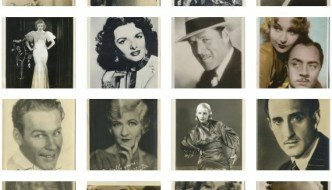 Same checklist for both the small and medium sized Famous Film Stars sets. 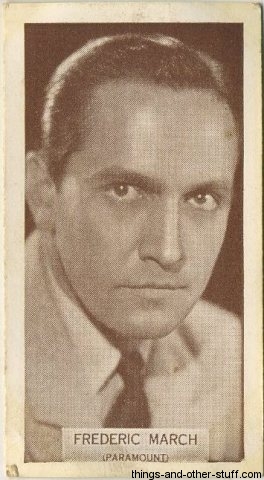 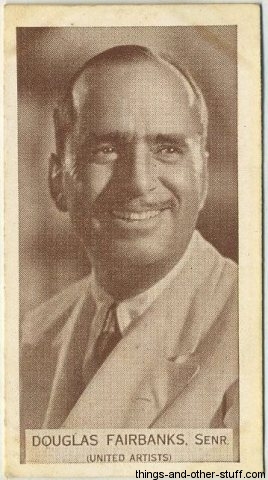 35 - Douglas Fairbanks, Sr.
65 - Douglas Fairbanks, Jr.